An opening ceremony of a full cycle manufacture of insulin items was held on September 19, 2018. The facility is located at the Novo Nordisk plant in the Kaluga region. 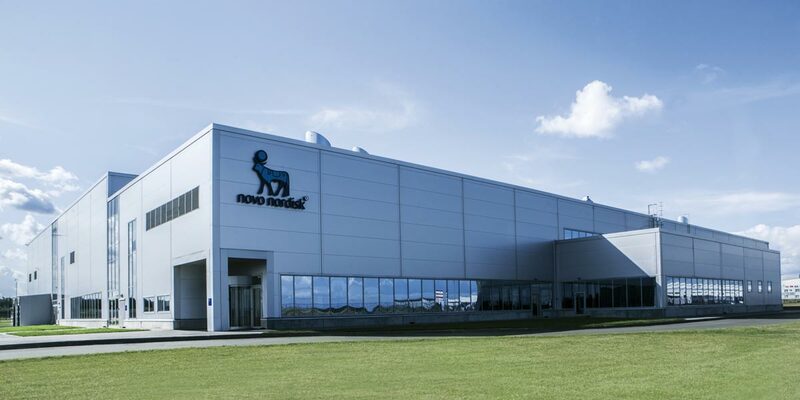 Production of FlexPen pre-filled multi-dose disposable syringes with the Novo Nordisk formula became the final phase of the full cycle. The event was honored by Mr. Anatoly Artamonov, Governor of the Kaluga Region, Mr. Karsten Sendergord, Ambassador Extraordinary and Plenipotentiary of Denmark to Russia, Mr. Alexei Alekhin, Head of the Department of Pharmaceutical and Medical Industry Development of the Russian Ministry of Industry and Trade, and Ms. Elena Maksimkina, Head of the Department for Medicines Supply and Medical Devices Circulation of the Russian Health Ministry. On behalf of the Institute’s leadership, Mr. Illarion Boyko – Deputy Director of the Institute of Drugs and Good Practices – presented greetings to Mr. Hans Duijf, Novo Nordisk Vice-President in Russia and Belarus. Insulin manufacture is a pharmaceutical task of hefty social importance. Novo Nordisk is one of the world’s leading pharmaceutical manufacturers with a long history of successful diabetes treatment. The insulin plant opened in the Kaluga region in 2015; production of ready-made dosage forms at the facility was licensed in 2017, which became an important milestone in localization of modern insulins production. ‘A full cycle of insulin production in Russia is a big step in development of local pharmaceutical industry. 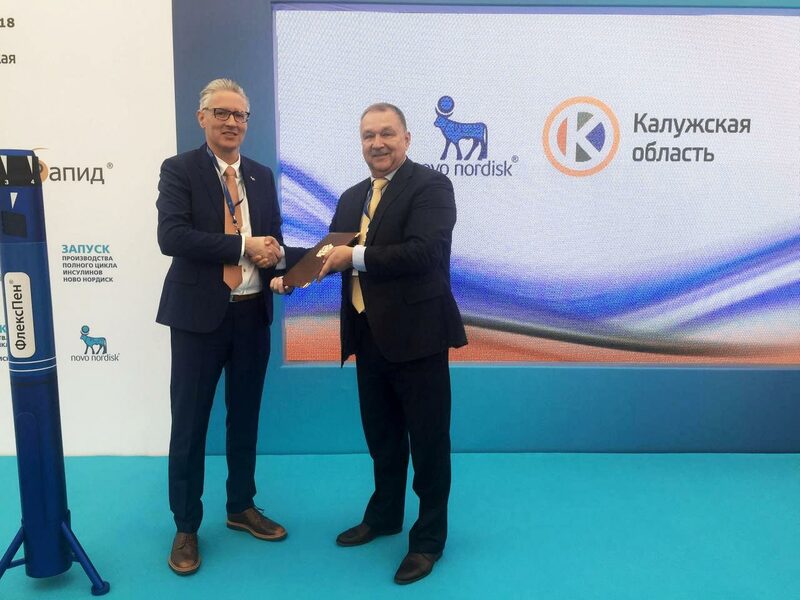 I congratulate Novo Nordisk team on the implementation of this challenging and responsible project, your production achievements set forth an example for the entire domestic industry,’ said Vladislav Shestakov, director of the State Institute of Drugs and Good Practices.